THIRUVANANTHAPURAM: Domestic carriers now have an opportunity to save on operational costs and pass on benefits to passengers following the reduction of jet fuel tax on domestic flights from 28.75 per cent to 5 per cent. 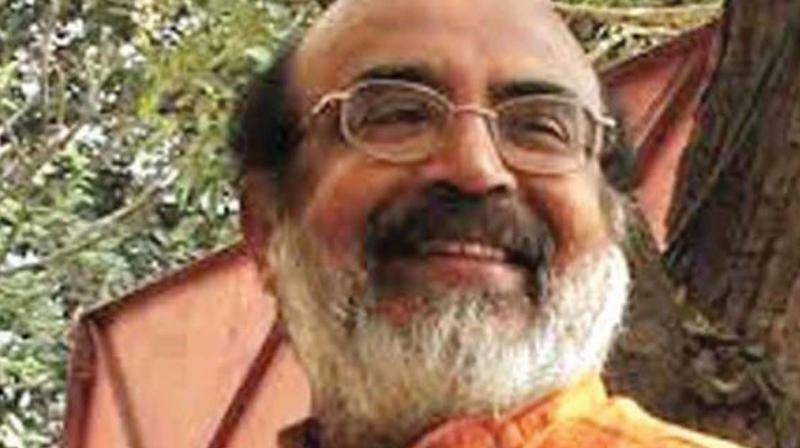 Will Finance Minister Thomas Isaac’s gesture result in proportionate lower fares, increased flight frequencies and adding of newer destinations? Kannur International Airport Ltd managing director V. Thulasidas said the reduction in jet fuel tax for non-Udan flights would help increase the number of flights and passengers. The additional revenue would add to the state’s kitty, though the higher off-take of fuel on account of the tax cut may not totally offset the annual loss of `100 crore in tax revenue to the state. Whether and how many new flights will be introduced by each domestic airline depends on the respective fuel cost reduction. The fuel tax applies only to domestic carriers as the Centre does not levy fuel tax on foreign carriers. The winter schedule runs through March 31 and hence there is still time left for airlines to tweak their summer schedules, incorporating more domestic flights to Kerala destinations. Mr Thulasidas commended the state government decision, recalling how the then government had reduced the fuel tax to 4 per cent ahead of starting the Kerala-centric Air India Express while he was the CMD of the national carrier. CIAL executive director (Operations) A. C. K. Nair said each flight would save 10 per cent of the operational expenditure from the cut in the fuel tax to 5 percent. The average fuel cost per flight is about 40 percent of the operational expenditure. 400 flights operate out of CIAL daily. IATA Agents Association of India national president Biji Eapen said he welcomed the tax reduction but wasn’t too sure whether this would lead to lower fares. “I have my reservations because there is no effective monitoring system to control the deregulated market. Experience shows that the profit margin spinoff to passengers has been seldom adequate. The current tax reduction is an impetus for the tourism sector in Kerala Rebuild phase”, he said. The next best thing to happen to the aviation sector in the state is a concerted effort to make either Thiruvananthapuram or Nedumbassery the state’s airport hub, enabling a hub-and-spoke spread for better international connectivity. Referring to KIAL’s prospects, Mr Thulasidas said the Centre’s clearance was awaited on foreign carrier operations. “We are on a tight spot because being a green field airport we have to pay for all services rendered by Central agencies but have to wait for foreign carrier operations despite being an international airport. We hope to get this viability issue resolved soon”.